Genetics can be an invaluable tool for understanding movement between populations of animals and plants across large landscapes, and can provide researchers a direct method for determining whether corridors are effectively maintaining gene flow and functional connectivity. Despite this, few studies have used molecular tools to examine the effects of corridors on connectivity between protected habitats, particularly in the tropics. 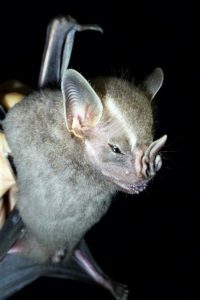 A new study uses these genetic techniques to examine the effects of a 250-thousand hectare biological corridor, the San Juan-La Selva corridor, on genetic diversity and gene flow of fruit bats in Costa Rica. 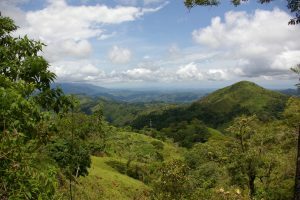 The San Juan-La Selva Biological Corridor was established in 2001 to connect two protected areas of remnant forest, the Indio Maiz Biological Reserve in Nicaragua and Braulio Carrillo National Park in Costa Rica, and encompasses both natural forest habitat as well as pasture and agricultural land. However, ongoing land-use change in the region has led to the widespread replacement of pasture and small-scale crops by intensively managed pineapple plantations, which provides poor habitat for native species and may impede animal movement. It was previously unknown how this recent expansion of large-scale agriculture in the region, which has also occurred to a lesser extent within the biological corridor, has affected the functional connectivity of animal populations. The authors sampled two species of fruit bats, the Jamaican Fruit Bat Artibeus jamaicensis and the Chestnut Short-Tailed Bat Carollia castanea, from 26 patches of remnant forest scattered across the landscape both outside and within the biological corridor. Using microsatellites to examine genetic difference s between populations, they found that the corridor has been largely successful in maintaining genetic diversity and functional connectivity for both bat species within the biological corridor itself. However, with less forest habitat and more extensive agricultural land outside the biological corridor, the two bat species differed in their responses to agricultural development across the region as a whole. Though the larger and more mobile Jamaican Fruit Bat showed little response to the encroachment of pineapple plantations, the smaller and less mobile Chestnut Short-Tailed Bat exhibited lower genetic diversity and a loss of functional connectivity across the studied region. These results indicate that the expansion of pineapple plantations has impacted the ability of this smaller species to move between patches of its forest habitat. These findings underscore the importance of the biological corridor in this region, to protect forested areas that allow both bat species to move through the landscape. New management methods, such as incorporating small patches of forest into pineapple plantations, may also be necessary to maintain connectivity throughout the region. Finally, these findings show the importance of looking across multiple species when assessing functional connectivity, because species may respond differently to the landscape based on their mobility and behaviors. Cleary, K. A., Waits, L. P., and Finegan, B. 2017. Comparative landscape genetics of two frugivorous bats in a biological corridor undergoing agricultural intensification. Molecular Ecology 2017:1-15. 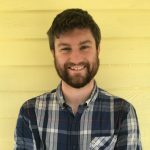 Sean Griffin is a PhD student at the Kellogg Biological Station at Michigan State University where he studies wild bee conservation and the effects of habitat corridors on bee dispersal. Sign up for the Conservation Corridor monthly e-newsletter!